Living Yoga was established in 2006, by Cherryl Duncan. The studio and the community that has sprung up around it, has been growing ever since. Sarah Bentz, a certified Jivamukti teacher, is the current Owner and Director of the Living Yoga studio in Craighall, Johannesburg and the Living Yoga brand. 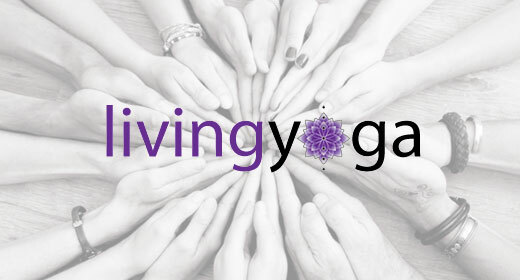 All the teachers at Living Yoga meet the highest teaching standards. Most qualified under Cherryl Duncan & Sarah Bentz and many are Jivamukti certified and bring a mix of styles including Jivamukti, Ashtanga, Vinyasa and Restoratives. More than just a yoga studio, Living Yoga has created a space for teachers from all over the world to visit & teach. Living Yoga is blessed to have hosted: Sharon Gannon, David Life, Jules Febre, Petros Haffenrichter, Anja Kühnel, Dechen Thurman and Olivier David, amongst others. Locally, Living Yoga continually hosts a variety of workshops, Satsungs, charity events, meditation and sutra lectures and pride themselves on creating a community, a lifestyle and a sacred space for their students to immerse themselves in their yoga practice. Lokah Samastah Sukhino Bhanvantu. May all beings everywhere be happy & free.